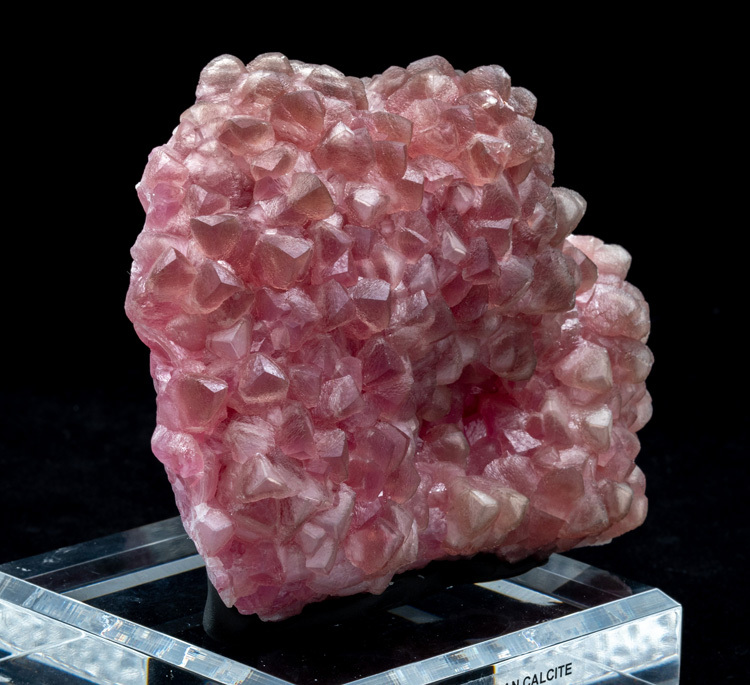 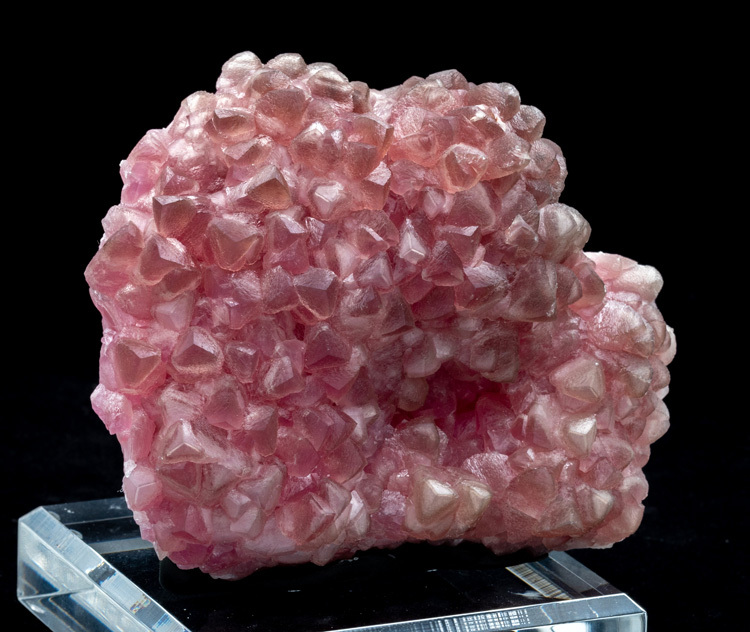 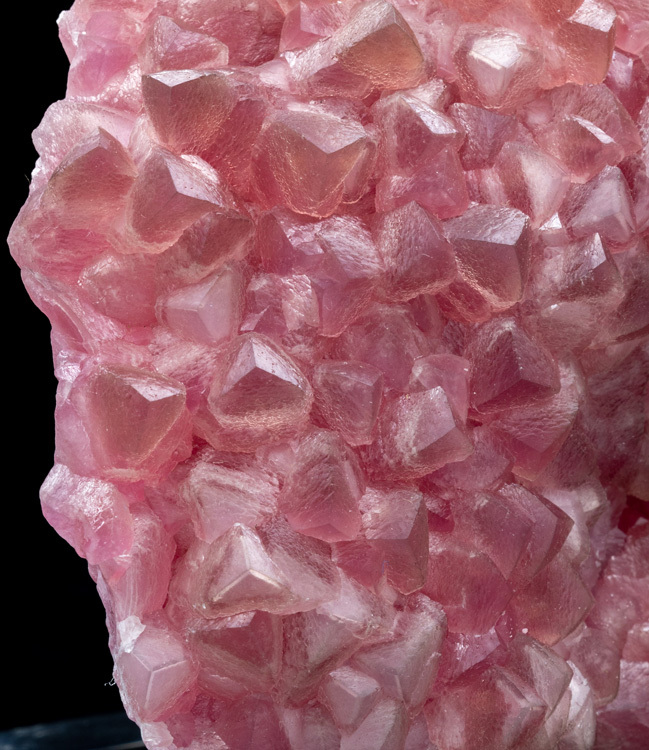 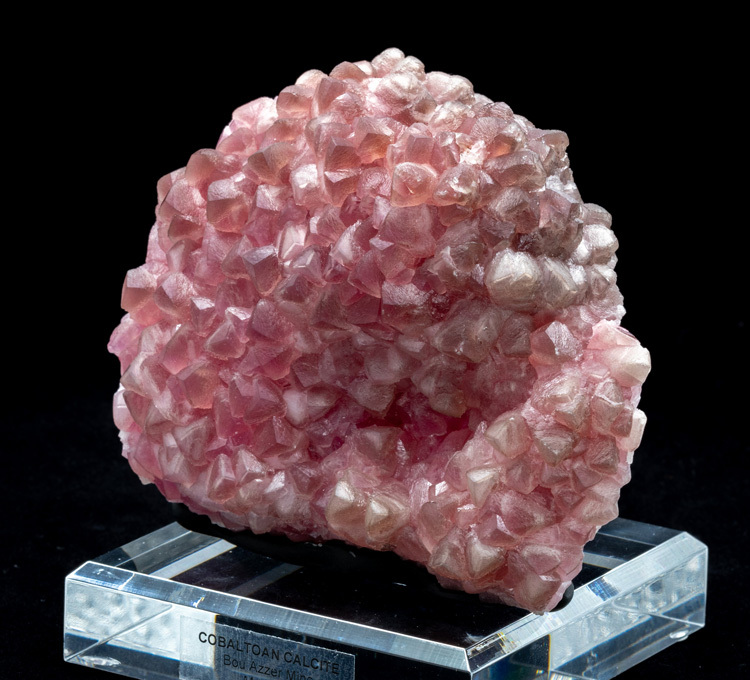 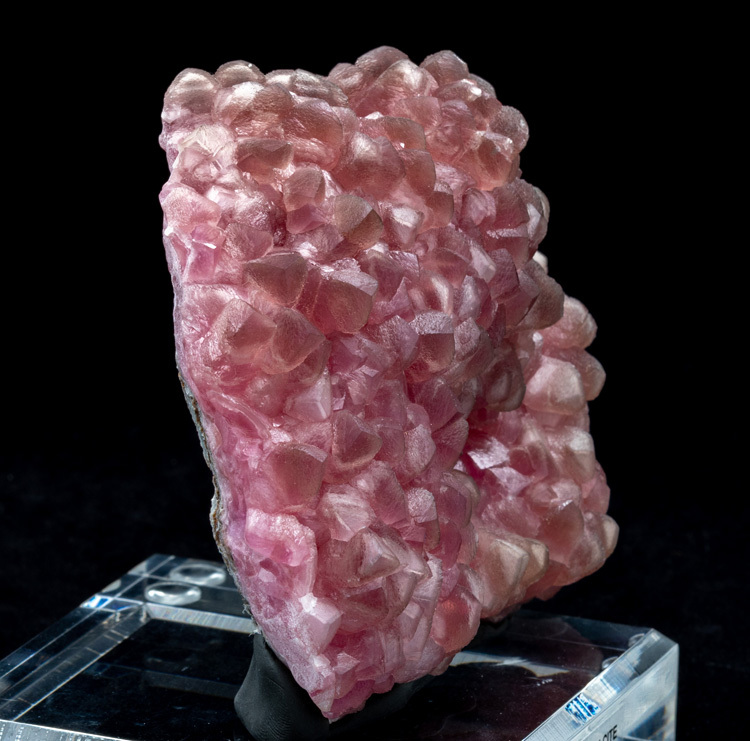 This is an absoutely gorgeous specimen of Cobaltoan Calcite from Morocco! 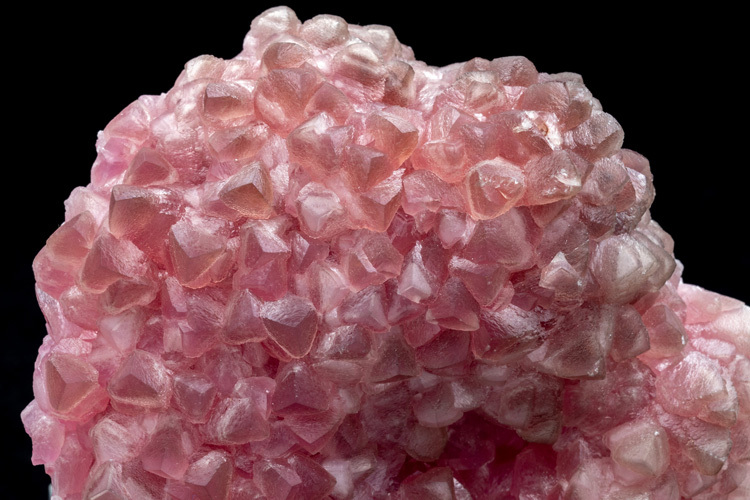 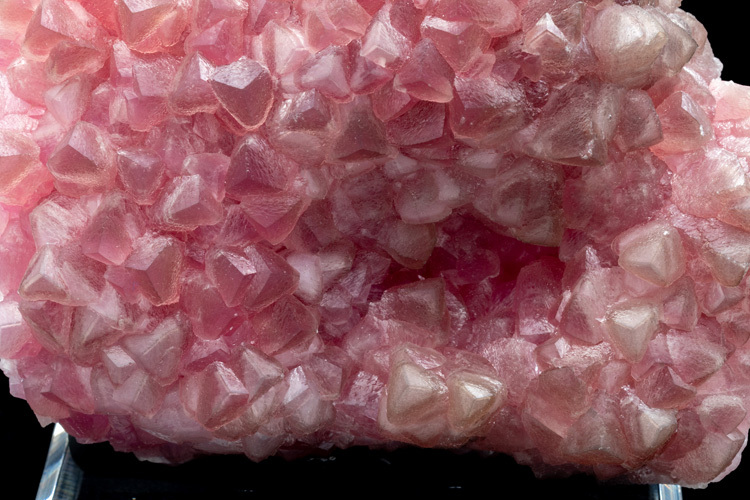 The raspberry colored crystals have excellent gummy bear translucency, and some crystals show a white inner phantom zone. 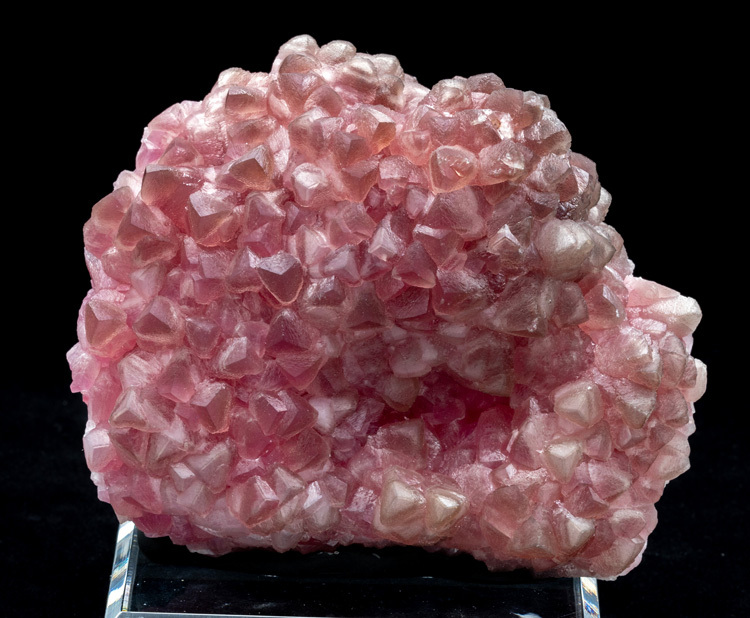 The crystals are quite large - up to 1.2cm, and the condition is very good with no significant damage. 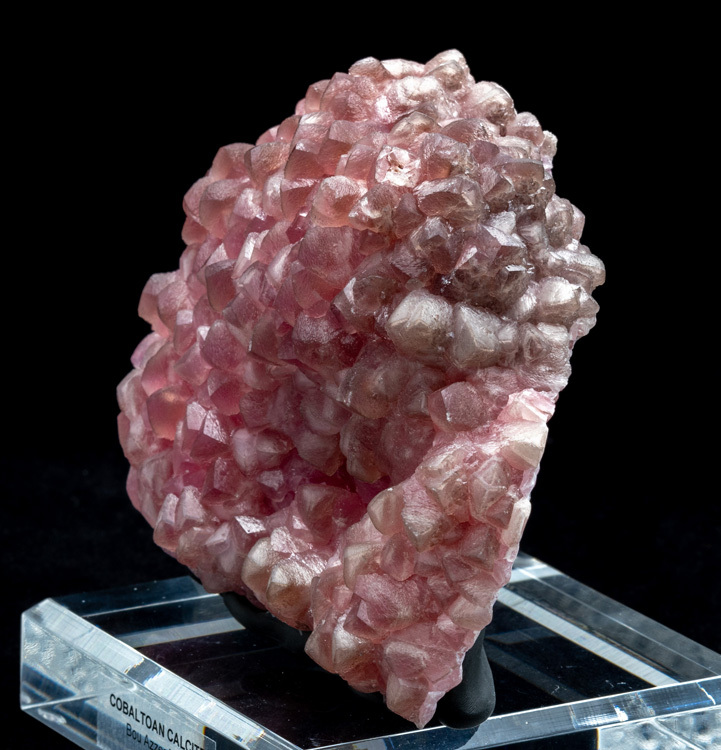 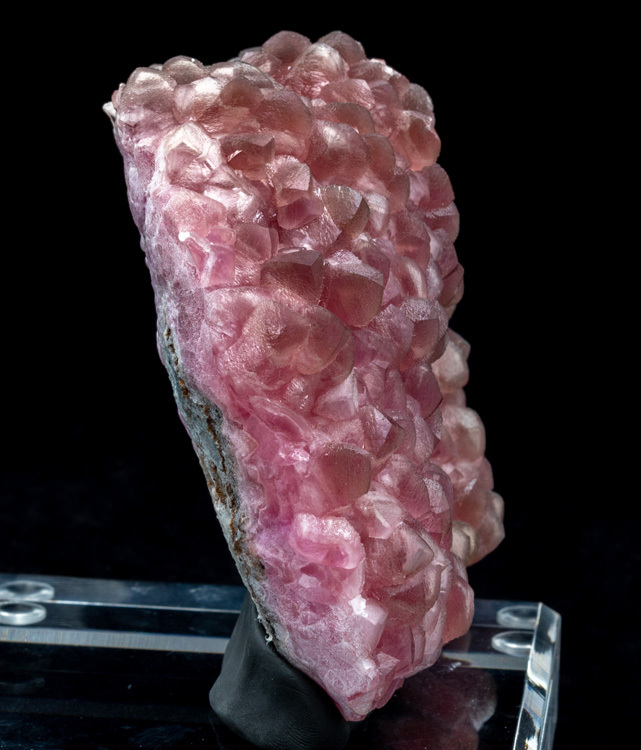 A beautiful specimen that will add a huge pop of reddish color to any mineral collection!